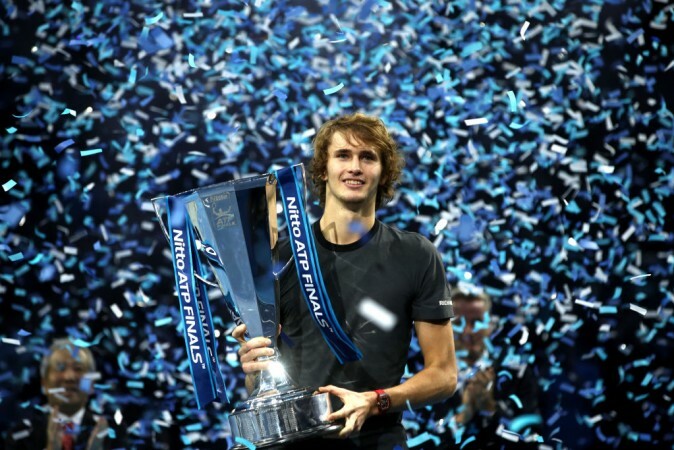 Zverev, who has been touted as the next-big-thing, clinched his biggest career title in London, decimating Novak Djokovic in straight sets in the final. Tennis great Boris Becker believes Alexander Zverev's ATP Finals win on Sunday in London is not just important for the 21-year-old but for the entire men's singles community, which has been in need of new and strong faces. Zverev, who has been touted as the next-big-thing, clinched his biggest career title in London, decimating Novak Djokovic in straight sets in the final. The German became the youngest player to win the prestigious year-ending title since his Serbian opponent in 2008 and the first from his country since Becker in 1995. Zverev, who has won 10 tour-level titles, including a couple of Masters 1000 tournaments, came out all guns blazing in the final against Djokovic, a day after beating world number three Roger Federer in straight sets in the semi-final. Having stuttered in the final stages of Grand Slam tournaments in the past, Zverev showcased a lot of intent and proved he has the goods to be successful at the highest level with a dominant performance over in-form Djokovic, who had headed into the title match after winning 35 of his last 37 matches. "For years we have been saying tennis needs new faces and strong new players - and he has proved he is the best of the next generation. Beating Novak Djokovic in the final was a big upset and a big victory for Sascha. It was the big match which we were all waiting for from him," Becker told the BBC. "Yes, he has won three Masters 1000 titles before, and has beaten Djokovic and Federer before, but to beat Novak and Roger back to back in one of the biggest tournaments in the world tells him, most importantly, but also the world, that he is going to be the next big thing. "The world saw a new superstar in tennis arrive on Sunday." Zverev is all set to finish the year as the fourth-ranked player behind Djokovic, Rafael Nadal and Federer. The young German won three titles, including the Masters 1000 title in Paris, and a tour-high of 58, with which he surpassed his previous best of 55. Becker believes there is a scope for improvement for Zverev, especially when it comes to achieving Grand Slam success. The 50-year-old pointed out that working with Ivan Lendl will only help the German, who hasn't gone past the quarter-final stages at majors so far. "So I'm happy he now has Ivan Lendl as a coach because Ivan, who won eight Grand Slam titles, can tell him the same stories I can tell him and brings an understanding of the game to his team," Becker said. "...Often it is a small margin and when you have someone on the sideline who has been there it has a big effect. It is very brave for Sascha to ask someone like Lendl to join his coaching team. "It shows you Sascha's motivation and his goals for the future. He wants to win and be the best so he is surrounding himself with the best." Meanwhile, Backer also insisted his former ward, Djokovic will dominate men's singles season next year and pointed out the Serb is showcasing glimpses of his vintage self. Djokovic had a difficult start to the season as he was struggling to recover from an elbow injury that had seen him skip the second half of last season. After being ranked as low as 22 in June this year, the numero uno hit peak form and won the Wimbledon and US Open titles to beat Nadal and Federer to the top spot of ATP rankings. "Despite losing against Zverev, Novak has shown over the past week - and few months - that he is back to his very best. There is not much difference between the Novak we have seen recently and the Novak who topped the world rankings for 122 weeks, and held all four Grand Slam titles, at his peak in 2015 and 2016," Becker said. "His serving is very good at the moment, he has shortened his swing to protect the elbow injury and that works in his favour. Can he dominate the men's game next year? Why not. He is playing amazing tennis."